Senecio mikanioides, a dicot, is a perennial herb that is not native to California; it was introduced from elsewhere and naturalized in the wild. 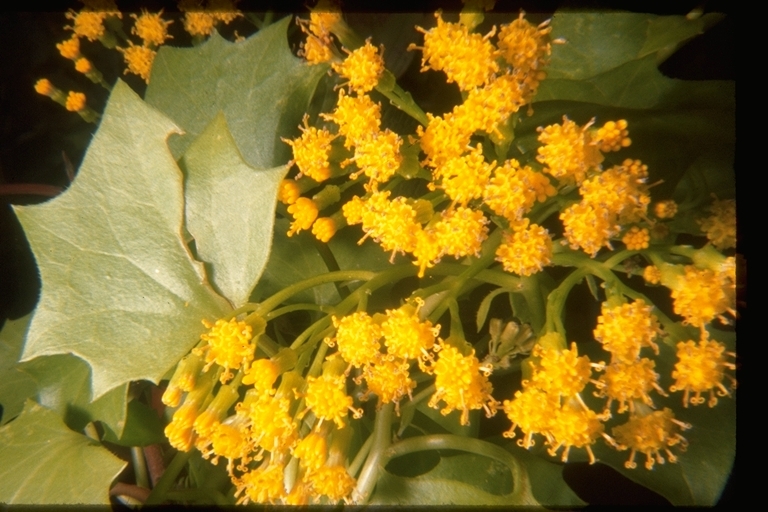 NOTE: Senecio mikanioides is no longer an active name. 1351 3163 4289 0091:! J. E.(Jed) and Bonnie McClellan 2007 California Academy of Sciences:! :!